At Gamescom 2018, Nintendo released two gameplay videos recorded by the Super Smash Bros. Ultimate development team. 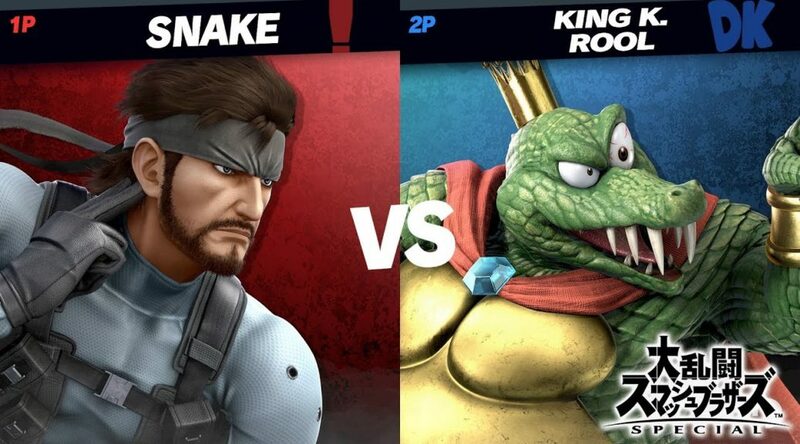 The first video features a 1 on 1 fight between Snake and King K. Rool, while the second is a team battle featuring Lucina and Chrom fighting Dark Samus and Ridley.